Our extensive evening menu comprises of a range of Starters, Pasta’s, Meat and Burgers. Looking for something different why not try our Fish of the Day or our 28 Day Matured Steaks. We aim to source and serve fresh, delicious, locally produced food. 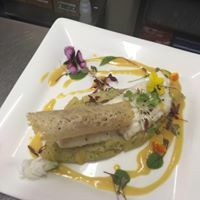 To view and download our Evening Menu please click here.